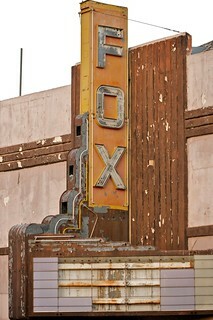 Everyone loves an old Fox, right? Well, actually no. Unlike the Michael J. variety, Mozilla Firefox has slipped into almost complete obscurity as a desktop browser. Depending on your source of data, Firefox’s marketshare has slumped from a peak in 2009 of just over 30%, to a lowly 7.69% in August, 2016. Although, it has regained some ground since August with 12.22% in December 2016 and is holding steady. There is all sorts of speculation on why Firefox is losing its user base. One obvious contributing factor is Firefox’s age. It’s just not the sprightly, cheeky, youthful fox it once was. … Firefox runs on Gecko. Which is old. Like really old. I think it’s the oldest rendering engine still in wide use. While Firefox may have the oldest rendering engine (the bit that draws the web pages), it is also wise. Many of those who contributed to Firefox, used that wisdom to build a web browser anew, that we know as Google Chrome. Thus, from the ground-up, Google Chrome’s build profited from the many lessons learned by Firefox, and of course from others in related fields. Furthermore, one key advantage to building a brand new browser at the time, was the opportunity to take advantage of the advancing multi-processor/multi-core computing architecture. Multi-core processors were becoming more and more commonplace for desktop computers at the time of Google Chrome’s conception. While the genesis of Firefox occurred at a time where multiprocessing existed primarily in the realm of server hardware, and very high-end workstations. Thus, Firefox always executed as a single process application. This means that Firefox can only execute its instructions sequentially across all windows and tabs, even if your computer sports a quad-core hyperthreaded processor. Essentially, Firefox does a little work on this tab, then a little on this tab, and so on in a round-robin type fashion, only ever making use of a single processor core at any point in time. An oversimplification – but I’m sure you get the gist. By contrast, the likes of Google Chrome create a separate process or execution pathway for each tab that you open. This means that Chrome can perform tasks in parallel. Your computer can be composing/rendering and updating multiple Chrome tabs concurrently. This is what powers the fresh and responsive experience you have with Chrome. Because there is no layer between many of the XUL and XPCOM internals of Firefox, its really hard for Firefox developers to change things without being hampered by the effect on add-on developers. It’s really hard to move Firefox forward when every change might break the experience for an unknown number of users. Firefox is stuck between a rock and a hard place. What to do? Can you teach an old fox, new tricks? Oh my, yes of course. Mozilla’s achievements haven’t come from complacency. 2017 is going to be a big year for Mozilla and Firefox. Firstly, let’s consider our single process dilemma. What is this electrolysis you ask? That is a much better metaphor. So in the context of Firefox, Electrolysis, or sometimes expressed as “e10s”, is the decomposition of the traditional monolithic Firefox process into a more modular architecture that means that it can be spread across multiple processes. I won’t repeat all of the benefits to e10s here, as Dan Callahan of Mozilla has done a great job of that himself when he published, The “Why” of Electrolysis. Because Firefox traditionally has been a single process application, every tab shares the same heap memory, reducing some duplication. The overhead is much lower than a multi-process architecture as used by the others in the benchmark, including Chrome. So you may wonder, won’t Electrolysis lead Firefox to the same fate? Actually, no. Unlike Chrome, Firefox’s multi-processing architecture does not do a one-to-one mapping of process to tab. A single Firefox Web Content process can manage multiple tabs, exemplified by the first phase of Electrolysis being to “… split Firefox into a UI process and a content process” for rendering tab content. This initial first phase was intentional to test the reliability of the implementation as it went out to millions of Firefox users. But the number of Web Content processes that can be created by Firefox is configurable and will expand as Firefox’s new multiprocess model is validated as reliable. I presently have my Firefox set to allow up to 8 Web Content processes. Benchmarks conducted by Eric Rahm, part of the Memshrink Group of Mozilla have shown that 2 Web Content processes yield only a 10-20% increase in memory, compared to non-electrolysis usage. With 8 Web Content processes, memory usage doubles compared to non-e10s usage. This is the case no matter how many tabs you open. So Mozilla have taken a sensible approach of mitigating the performance, stability, and memory consumption factors and optimised for all. You can have your cake and eat it too it would seem. 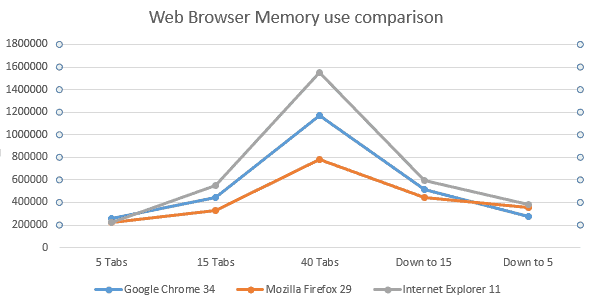 Eric has done a benchmark comparison of multiple browsers, including e10s enabled Firefox, which shows Firefox still using half the memory of Chrome. So Firefox has learned some new performance tricks. What has this meant for Firefox Addons? Many have interpreted this description, as Mozilla attempting once again to mimic Google Chrome, perhaps in an effort to woo back users. However, according to Aaron Klotz of Mozilla, this is not actually the case. There are plenty of online resources that talk about WebExtensions, and what they hope to achieve. They all seem quite sensible to me. Like the initial developers of Chrome who were able to take lessons from Firefox, Firefox too is taking lessons from others. But what is Mozilla actually doing with Firefox that diverges from the crowd? Mozilla labs, since 2009 has been working on an ambitious new programming language called Rust. Before then, it was a pet project of Graydon Hoare, a Mozilla employee. “So what?”, you might say. New programming languages are a dime-a-dozen these days, and their impact can vary substantially. 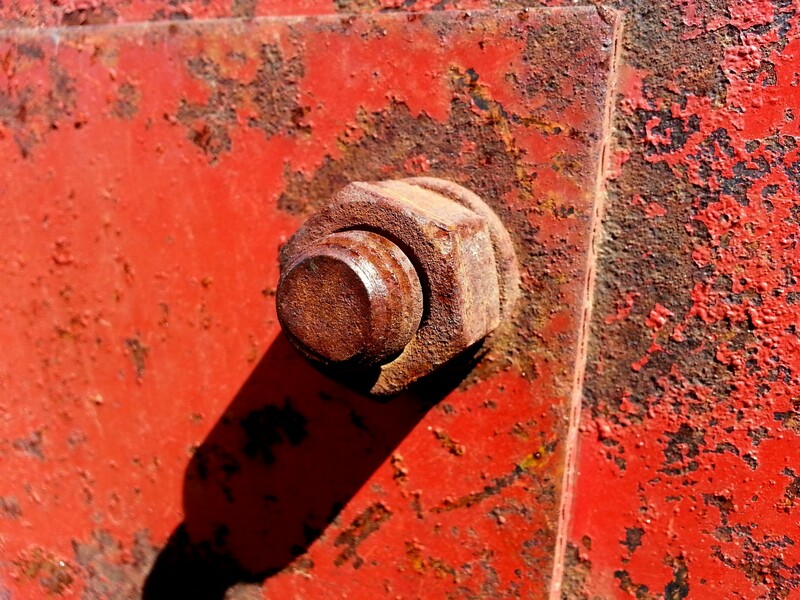 What’s so special about Rust? The Rust core team’s original vision—a safe alternative to C++ to make systems programmers more productive, mission-critical software less prone to memory exploits, and parallel algorithms more tractable—has been central to Mozilla’s interest in backing the Rust project and, ultimately, using Rust in production. So all of this means more reliable software, and easier use of parallelism in modern multi-core computing architectures. And Graydon Hoare got to scratch one serious itch. Dave Herman shared a series of short videos that does a good job of explaining some of the finer points of Rust. But, getting back to my original question, how does this help Firefox? Continuing with Dave’s original article, he goes on to explain how Mozilla is building Rust into Firefox, starting with Firefox’s multimedia stack in version 48. Mozilla are calling this evolving initiative Oxidation. Oh how I love Mozilla’s use of metaphors. So the longer term plan for Firefox is to replace parts of it’s jet engine (Gecko) with new shiny parts from Servo, all the while we continue to fly. Pretty neat stunt I think. So far, I have to say, things have been going quite well. But is catching up technically, a good enough reason to switch, or switch back to Firefox? I mean, why switch to Firefox – perhaps my current browser is already serving me well? In a follow-up article, I will address this question by focusing on one of Mozilla’s 10 principles – online privacy.